Welcome to the new Indian Takeaway Online Ordering website for Taste of India based in 38 Worcester St in Gloucester. Order Online......and join us in an exciting culinary journey which is a result of centuries of patronage to the art of cooking and a large repertoire of delicious recipes. We proudly share with you all the flavours and subtle nuances of authentic Indian cuisine so you may nurture a fond intimacy with our cuisine. To help you enjoy our tasty Indian cuisine, we are pleased to offer both Online Ordering and Online Table Booking. To join us please visit our Reservation page and fill in the form. If you would prefer to enjoy our food with a takeaway, please visit our Takeaway Menu. We offer FREE Home delivery on all orders over £20, £3 charge for orders below £20. 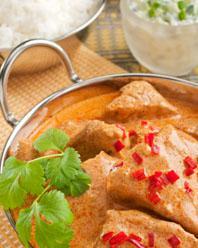 Chicken marinated with medium spices and cooked in a clay oven, served in a mild creamy sauce. Cooked In Fresh Cream, Coconut And Almonds. Cooked With Medium Spices In Plentiful Sauce At The Required Strengths. Cooked In A Hot Sweet And Sour Sauce With Fresh Tomatoes And Lemon Juice. Cooked With Medium Spices, Garnished With Thisk Sauce Consisting Of Tomatoes, Onions And Fresh Peppers. Cooked In Medium Sauce With Fresh Spinach And A Touch Of Garlic. Cooked With Tomatoes, Onions And Freshly Ground Spices. 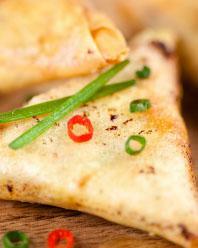 Cooked With Fresh Peppers, Onions And Green Chillies To Give A Slightly Hot Mouthwatering Taste. 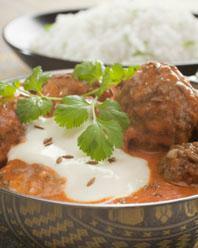 Here at Taste of India an Indian Takeaway in Gloucester, we have a wide range of menu options. Serving delicious Indian food, we are sure we have something for you to enjoy. Wouldn't go anywhere else. Always delicious, thank you.